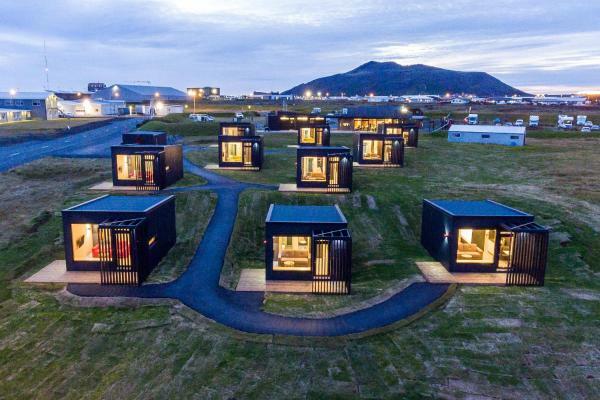 Offering breakfast and a 24-hour reception, the modern Geo Hótel Grindavík is located in Grindavík, 6 km from the Blue Lagoon geothermal spa. Wi-Fi and parking are free. Flat-screen TVs with satellite channels are standard at Geo Hótel Grindavík. 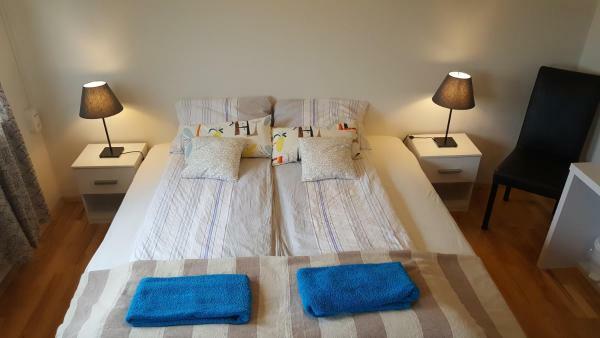 Just 6 km from the Blue Lagoon, this self-service accommodation offers a TV lounge and kitchen. Wi-Fi and parking are free. Krýsuvík geothermal field and Keflavík International Airport are a 25-minute drive away. 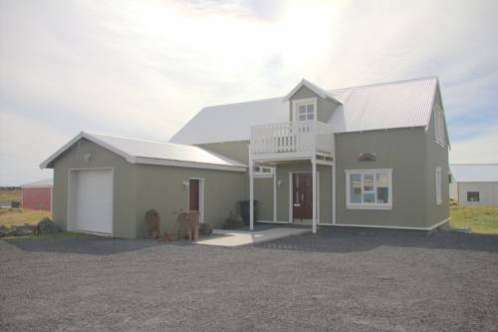 Set 4.3 km from Blue Lagoon in Grindavík, Lágafell Guesthouse features free Wi-Fi access and free private parking. Shared bathrooms are found on each floor. You will find 2 shared kitchenettes which include cooking hobs, a microwave and fridge. This family-owned hotel features a wellness spa, fitness centre and a fireplace lounge with panoramic views. Free shuttle buses run to and from the Blue Lagoon, just 1 km away. 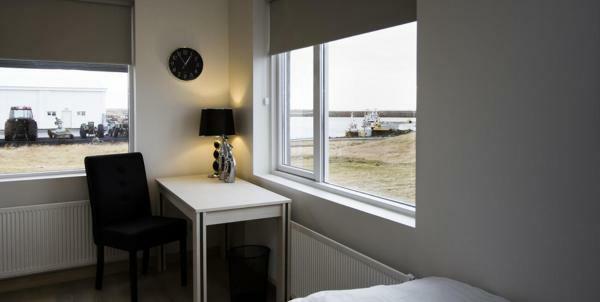 Set in Grindavík, Harbour View Cottages Grindavik offers accommodation with seating area. Complimentary Wi-Fi is featured. 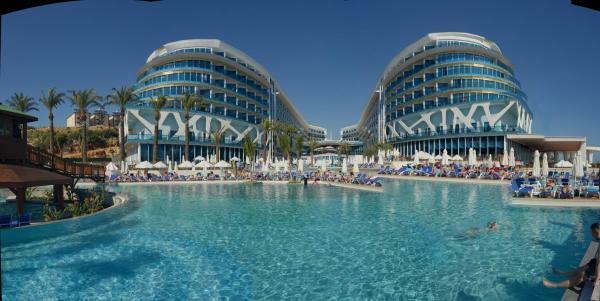 Each unit has a patio with sea views, a fully equipped kitchen and a private bathroom with shower. 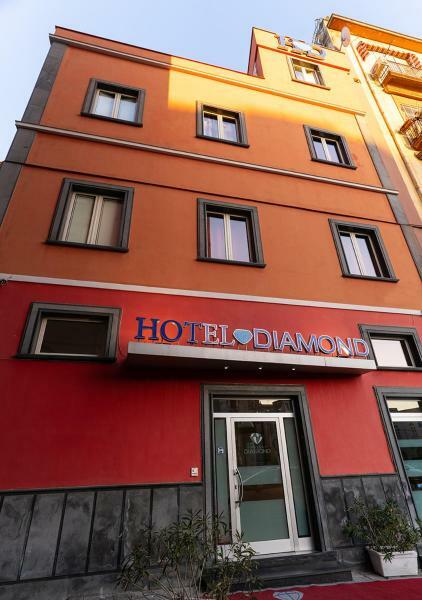 Set 5 km from Blue Lagoon, Grund provides accommodation with free Wi-Fi in Grindavík. At the bed and breakfast, rooms come with a desk. Certain rooms are fitted with a kitchen with an oven, a microwave and a toaster. 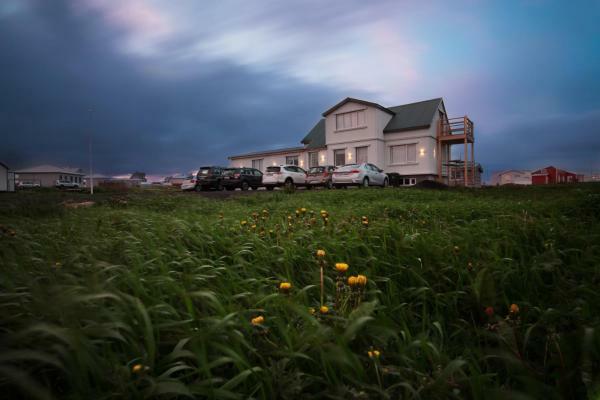 Located in Grindavik, Anita’s Guest House offers free private on-site parking, Wi-Fi and access to a garden with a sun terrace. This guest house offers basic rooms with shared bathroom facilities, a communal kitchen with a dining area. 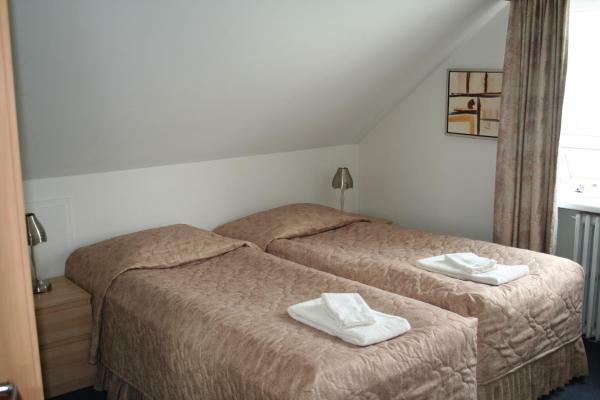 Providing free Wi-Fi, Fiskanes Guesthouse is situated in Grindavík. The property is set 4.2 km from Blue Lagoon. All units in the guest house are equipped with a kettle. Every room is fitted with a private bathroom. 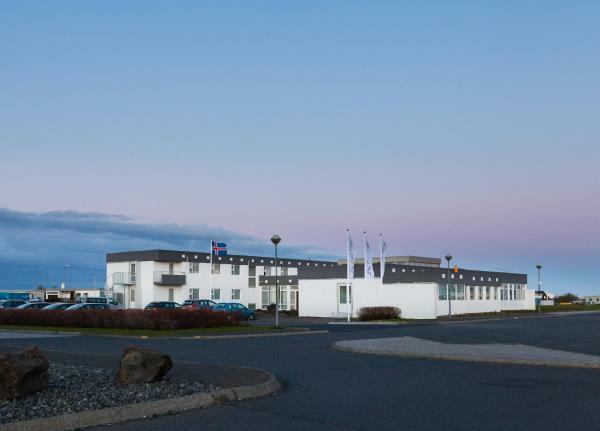 Situated in Grindavík, in a building dating from 1988, 5 km from Blue Lagoon, Reykjanes Guesthouse provides guestrooms with free Wi-Fi. The accommodation features a concierge service, and organising tours for guests.